The Historical Society has many opportunities for you to get involved! Give us a call or check out our membership & volunteer page! We have calendars, books and DVDs. 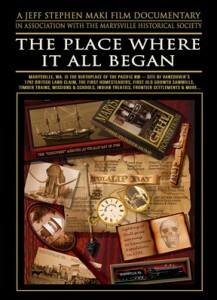 A visual chronology of early Pacific Northwest history, featuring amazing photographic imagery from the archival collections of The University of Washington’s Special Collections, The Marysville Historical Society, The Everett Library Northwest Room, The Museum of History and Industry, and More! This 45-minute production is a wonderful production filled with interesting historical facts and accounts of the early Marysville pioneers. This page is still under construction – watch for more items in the future. Please contact info@marysvillehistory.org with any questions or comments.